On saturday 20/11 and sunday 21/11 athens supercross took place in peace and frienship stadium at faliro.Of course bmx was a part of this big event. There was a two days bmx show-best trick contest, the riders was b.l.c crew(panos and john manaras , kostas adamopoulos , haris nisiotis)and also 5 other greek very good riders (mike nisiotis, spiros tiniakos ,george bondof, nikos balas and kostas goros. Everyone had a good time, riders and spectators, and we hope that events like this will take place every year! Αναρτήθηκε από keep riding.! στις 2:39 μ.μ. 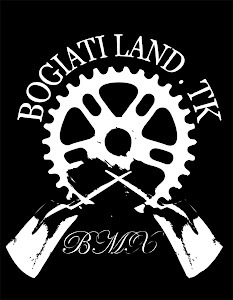 BOGIATI LAND CREW ON SKIPASS! !